US Army deserter Bowe Bergdahl received a dishonorable discharge, but will avoid prison time. Bergdahl’s defense relied upon testimony from a forensic psychiatrist. 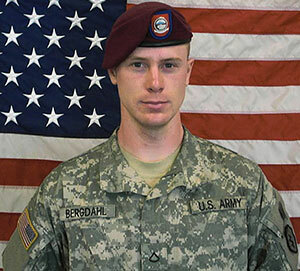 Bowe Bergdahl was a Sergeant in the US Army who deserted his post in Afghanistan. Bergdahl was captured by the Taliban and held for five years until he was released in exchange for five Guantanamo Bay detainees. Bergdahl said that he was tortured and beaten during those five years and spent them in complete isolation. Bergdahl described torture with copper wire, sickness brought on by squalid conditions, and being placed in a cage for years. Following Bergdahl’s return, the US military investigated his decision to leave his post. Bergdahl was charged with desertion and misbehavior before the enemy. Bergdahl pleaded guilty and chose to be tried by a military judge. Prosecutors asked for a 14-year prison sentence. Defense attorneys sought leniency by presenting evidence of time spent in captivity, mental illnesses, and criticism by President Donald Trump. Defense attorneys called Dr. Charles Morgan as a witness. Dr. Charles Morgan is a forensic psychiatrist and professor at University of New Haven and Yale University. Dr. Morgan is an international expert in post-traumatic stress disorder, eyewitness memory, and human performance under conditions of high stress. Dr. Morgan is also an expert in the selection and assessment of US military Special Operations and Special Mission Units. Morgan stated that he interviewed Bergdahl’s family and friends and did extensive testing on Bergdahl. The testing included psychiatric evaluations, stress exams, and neurological psychological testing. Dr. Morgan concluded that Bergdahl suffered from a schizotypal personality disorder before he enlisted in the army. Bergdahl also suffered from post-traumatic stress disorder and social anxiety. Morgan testified that people with schizotypal personality disorder tend to indulge in grandiose fantasies that may compel them to take action they are convinced is morally right, even if it is not grounded in reality. Morgan said that Bergdahl understood the difference between right and wrong, but may have had difficulty seeing the second- and third-effects of his actions and the impacts they will have on others. Army Colonel Jeffery Nance ruled that Bergdahl will not serve any time in prison, but will be reduced in rank to private, forfeit $1,000 per month in pay, and receive a dishonorable discharge.